If you run an e-commerce business, here is some good news for you. Ecommerce continues to grow at an amazing speed. As per eMarketer’s report, US ecommerce did $262.3 billion in sales, an increase of 16.4% year over year. It is also estimated that by 2017 the figure would go up to $440 billion in sales with a compound annual growth rate (CAGR) of 13.8%. While the brick and mortar retail chains or shops can have much bigger real estate to showcase products, it is the luxury e-commerce can’t have. Couple of years back it was 21″ screen desktop, then it shrank to 11″ in the form of tablets and now its the 4″ screen that is going to run the ecommerce show. Don’t take my word for that. Same report also indicates that mobile ecommerce ( mcommerce) is growing at a staggering pace of 68% for the last 2 years and currently accounts for 16% of the total ecommerce sales at $42 billion. 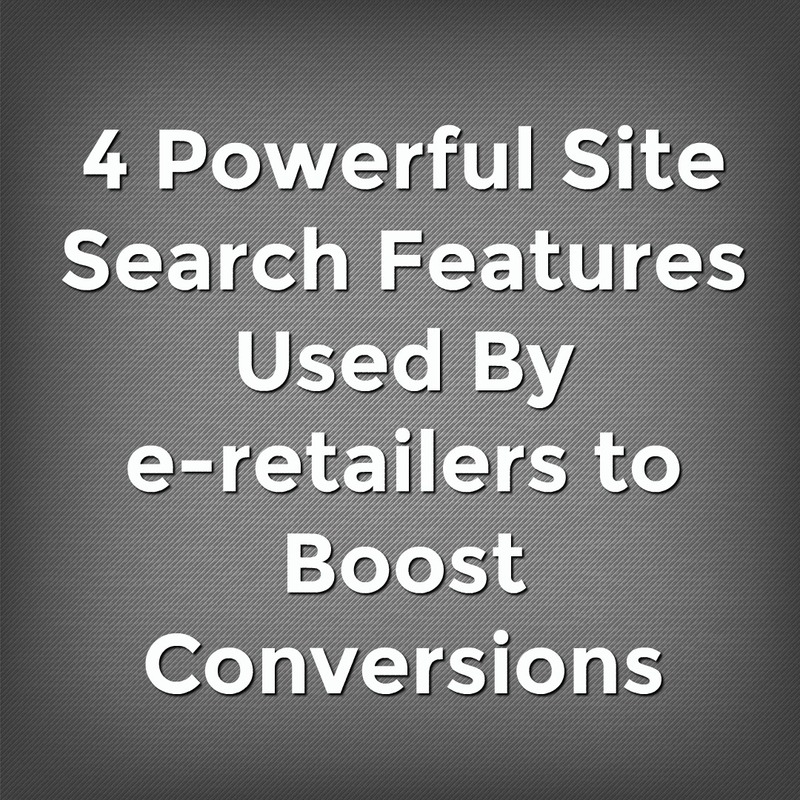 This pushes every ecommerce retailer to find quicker ways to help customers present what they are looking for. While categorical navigation plays a big role, it’s pretty clear that with the reduction in screen size, internal site search is where the customer will directly go instead of using a navigation. Though this is a well known fact, most of companies are still not using search & analytics to the fullest. According a survey done by SLI Systems, 57% of ecommerce brands do not use site search & analytics data to improve search experience and conversions. This pretty much clears the fact that when it comes to site search and using site search analytics data, we have a long way to go. 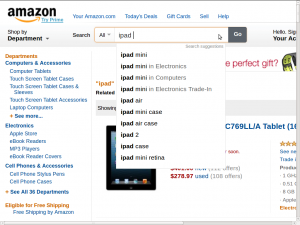 Here are a few site search techniques used by e-commerce giants like Amazon, Ebay and others. They have been using site search data smartly which is probably one of the reason for their success in ecommerce space. Just to keep explanation familiar, we gonna search a term ‘iPad’. You must be familiar with the related searches on the Google search. Similarly, retailers use it to help us out in our search. Lets checkout how Ebay does it. If I search for iPad, it presents me a list of related searches right below the search box. And the related searches are spot on like iPad 2, iPad mini etc. 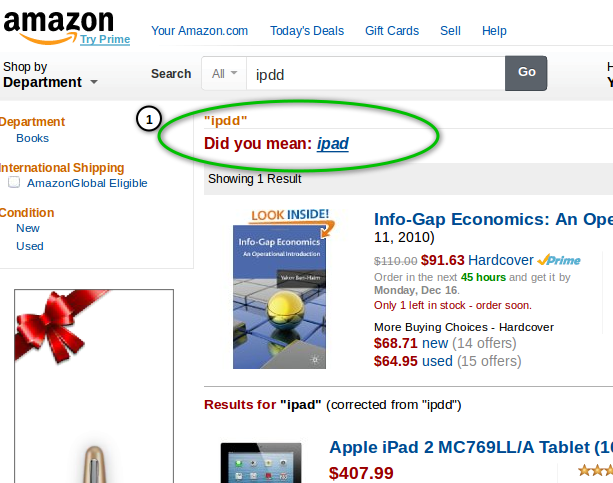 Amazon has picked up another position to show related searches, just above the search results. If you notice, it’s quite smart, as it is already presenting iPad air as an option. Search suggestions help you to find out common phrases that other people have searched for while you are actually typing your keywords. Search Suggestions are slightly different from Related searches. Related searches are presented after you hit the Search button. Search suggestions appear when you are actually searching and haven’t enter. Most of the time Search Suggestions are primarily used for assisting in completion of the users search. Like in case of amazon or ebay, if I type iPad, it will suggest me iPad mini, iPad Air, iPad case as people might have searched for that before. I tried searching with a typo and Amazon’s search was smart enough to recognize the typo and suggested my intent and even the returned the results for that. It saved me the pain of going back to search and correcting the typo. Instant Search is a search that shows search results as you type. The basic insight behind this, according to Google, is that people type slowly, but read quickly, typically taking 300 milliseconds between keystrokes, but only 30 milliseconds to glance other part of the page. This means that you can scan a results page while you type. 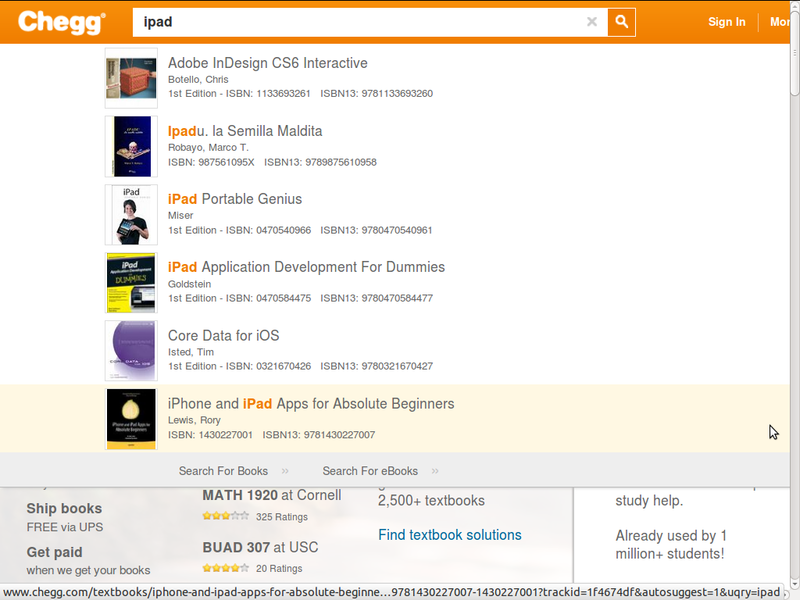 If you look at the company Chegg.com, a textbook rental service, you’ll see it in action. As soon as you start typing the name of the book, it shows you snippet of every result which gives you instant idea of whether the results are suitable for you, so that you can re. tune the query. You don’t even need to look at search result page as the results are presented right below the search bar as you type. Instant gratification. This are proven ways to help your customers find what they are looking for. And if you are an e-commerce company, you got to figure out the ways to achieve it.